WB result of CD1D antibody (66257-1-Ig, 1:500) with si-Control and si-CD1D transfected Jurkat cells. 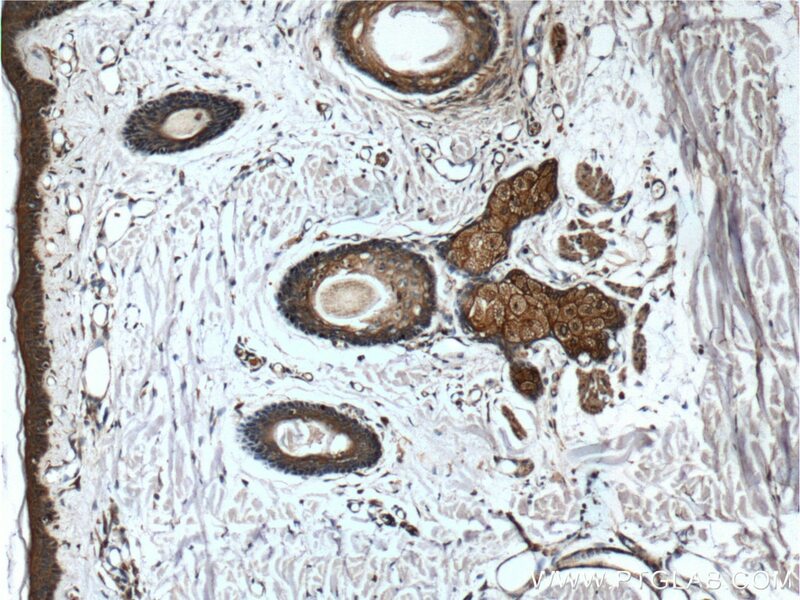 Immunohistochemical analysis of paraffin-embedded human skin tissue slide using 66257-1-Ig (CD1d antibody) at dilution of 1:100 (under 10x lens). 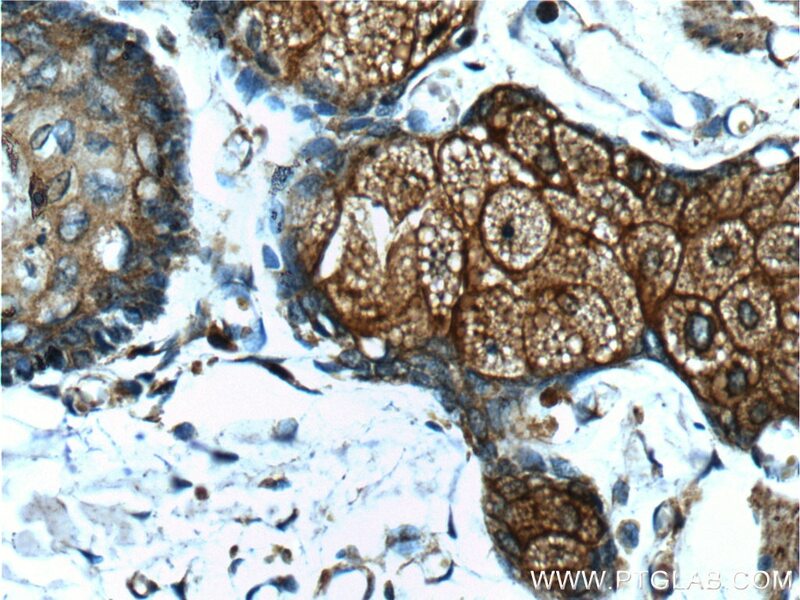 Immunohistochemical analysis of paraffin-embedded human skin tissue slide using 66257-1-Ig (CD1d antibody) at dilution of 1:100 (under 40x lens). CD1d is a member of the CD1 family of transmembrane glycoproteins, which are structurally related to the major histocompatibility complex (MHC) proteins and form heterodimers with beta-2-microglobulin. CD1d is an antigen-presenting protein that binds self and non-self glycolipids and presents them to T-cell receptors on NKT cells. When activated, NKT cells rapidly produce Th1 and Th2 cytokines. The molecular weight of unglycosylated CD1d is 38 kDa, while glycosylated form of CD1d is 48-55 kDa. 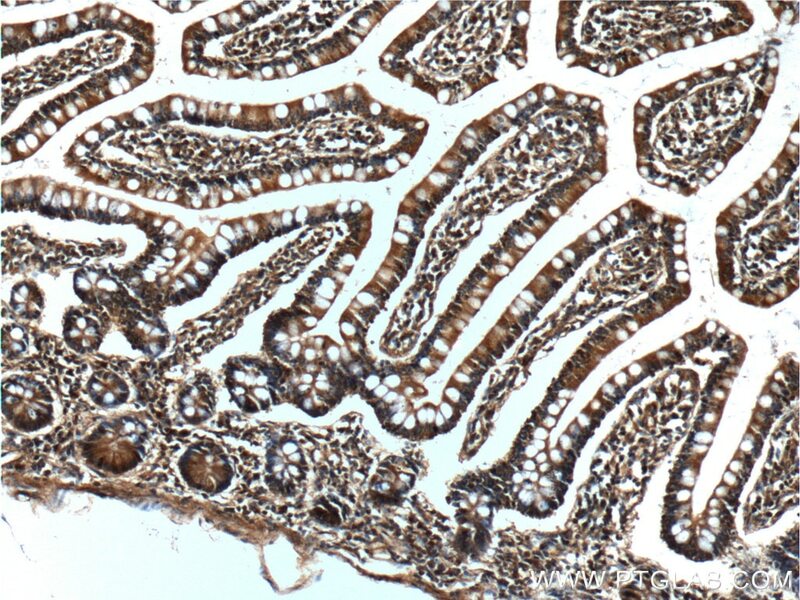 Immunohistochemical analysis of paraffin-embedded human small intestine tissue slide using 66257-1-Ig (CD1d antibody) at dilution of 1:100 (under 10x lens). 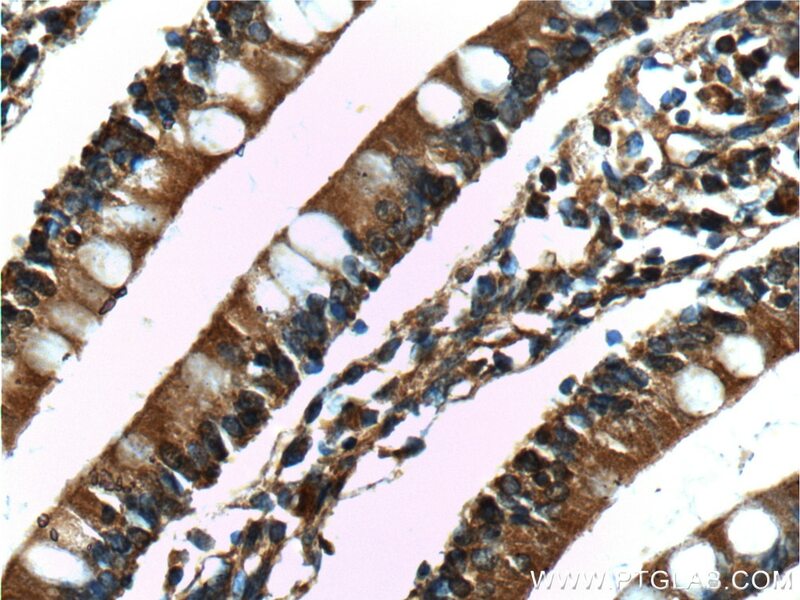 Immunohistochemical analysis of paraffin-embedded human small intestine tissue slide using 66257-1-Ig (CD1d antibody) at dilution of 1:100 (under 40x lens).